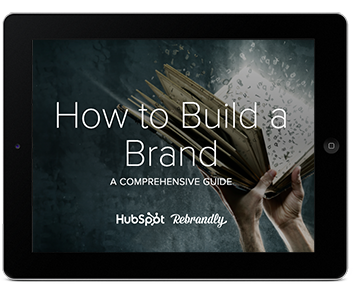 A comprehensive guide to effective and measurable branding. This guide will help you better understand brand awareness, establish it among your audience, and build campaigns that allow it to continually grow and morph with your business. Let’s dive in. Brand awareness represents how familiar your target audience is with your brand and how well they recognize it. Brands with high brand awareness are generally referred to as “trending,” “buzzworthy, or simply “popular.” Establishing brand awareness is valuable when marketing and promoting your company and products, especially in the early stages of a business. Brand awareness might seem like a vague concept, and in truth, it is. For those marketers and business owners out there who like to gauge success with neat and tidy numbers, brand awareness will likely ruffle your feathers. But just because it isn’t a metric that can be perfectly determined doesn’t mean it doesn’t carry value. Brand awareness is incredibly important for business success and overall marketing goals. Here’s why. In a world where consumers rely on extensive research and others’ opinions before making a simple purchase, brand trust is everything. Once a consumer bonds to your brand, they’re more likely to make repeat purchases with little to no forethought –– which then bridges the gap between trust and loyalty. Brand awareness establishes that brand trust. When you put a proverbial face to your brand name, consumers can trust easier. Brand awareness efforts give your brand a personality and outlet to be sincere, receive feedback, and tell a story. These are all ways that we, as humans, build trust with one another. The human/brand relationship isn’t any different. When you’ve had a paper cut, I bet you’ve put on a Band-Aid. When you had a pressing question, I’m sure you’ve Googled it. When you needed to make a few copies, I’m guessing that you Xeroxed them. And when you’ve packed for a nice picnic, I’m willing to bet you grabbed a Coke to drink. Am I correct? Most likely. But ... notice how the some of the words above are capitalized. These are brands, not nouns or verbs. Speaking in brand-less terms, Band-Aid should be referred to as bandage, Google, as a search engine, and Xerox as a copier. But it’s more fun to refer to the brand itself, even if we aren’t using their specific product. That’s what brand awareness does. It associates actions and products with particular brands, subconsciously encouraging us to replace common words with branded terms. And before you know it, simple paper cuts or picnics are doing the marketing for us. Brand equity describes a brand’s value, which is determined by consumer experiences with and overall perception of the brand. Positive experiences and perception equal positive brand equity, and the same goes for negative notions. How does a brand establish (and increase) brand equity? By building brand awareness and consistently promoting positive experiences with the brand. Brand awareness is the foundation of brand equity. Once a consumer is aware of a brand, they start to recognize it without assistance, seek it out to make a purchase, begin to prefer it over other similar brands, and establish a loyalty that not only spurs on other purchases but also inspires recommendations to family and friends. That, my friends, is why brand awareness is so important. It establishes trust with your customers, creates positive associations, and builds invaluable brand equity that allows your brand to become a household name and consumer staple. Brand awareness among your audience and the general public doesn’t happen overnight. It also doesn’t happen from a simple advertisement or marketing campaign. Strong brand awareness is a result of multiple simultaneous efforts that extend beyond trying to get paying customers. If you expect to raise awareness of your brand by running a few product advertisements on Facebook, you won’t get very far. Not only will the consumer be focused on the product (not the brand), but the ad will also lack impact beyond a simple sale. When you get to know a new friend, what do you like to discover about them? I like to learn about hobbies, passions, likes and dislikes, and more. I also pay attention to how they speak, what they like to talk about, and what stuff gets them excited. These are the traits your brand should determine and promote about itself. To leave an impact with your audience, you’ve got to define yourself as more than a company that sells stuff. How else would you define yourself? What words would you use if you had to introduce your brand to a new friend? Introvert or extrovert, outgoing or quiet, all humans benefit from social contact and spending time with one another. It’s how we stay connected, learn new things, and become known by others. The same goes for your brand. If you only attempt to connect with others when trying to make a sale or get support, you won’t be known as anything beyond a business with a singular intention (and the same goes for a person). To raise awareness of your brand, you’ve got to be social. Post on social media about things unrelated to your product or services. Interact with your audience by asking questions, commenting on posts, or retweeting or sharing content you like. Treat your social accounts as if you were a person trying to make friends, not a business trying to make money. Over 50% of brand reputation comes from online sociability. Being social leads to greater awareness and simply being known. Storytelling is an incredibly powerful marketing tactic, whether you’re marketing products or promoting your brand. Why? Because it gives something real for your audience to latch onto. Crafting a narrative around your brand humanizes it and gives it depth. And weaving this said narrative into your marketing inherently markets your brand alongside your products or services. What should your narrative be about? Anything, as long as it’s true. It can be the narrative of your founder, the tale of how your business had its first product idea, or the little-engine-that-could story of how your small business made it in this big world. People like hearing stories about each other. Authenticity is impactful, and it can lead to a big boost in brand awareness. Whatever your industry, product offering, or marketing strategies, make it easy for your audience to share your content. This could be blog posts, sponsored content, videos, social media posts, or product pages. It doesn’t matter what it is, as long as it’s shareable. Word-of-mouth marketing is the most effective way to establish trust and familiarity among customers. If someone sees that a friend or family member is recommending a product or service, they’ll take notice of that product … and brand. Is this a brand worth exploring? Do they have other great products I can rely on? What are their social accounts like, and what do they talk about? If you make it easy to post about your stuff, consumers will raise brand awareness for you by simply clicking “Share”. Brand awareness is about impact. It’s about interacting with your audience in ways that don’t only ask for money, participation, or loyalty. Imagine if you met a new person who wanted to be your friend. If they asked for any of the above, you’d probably laugh and walk away, right? Not only is that a shallow approach to friendship, but it also leaves no lasting impact on you. The same goes for establishing brand awareness among your audience. What about expanding your established brand awareness and building on that strong foundation? What can you do as a brand to campaign for awareness and constantly increase it? Freemium is a business model that offers a basic product or product line for free, only charging for any products deemed premium or enterprise-level. It’s a popular pricing strategy for software companies, like HubSpot and Trello. Offering a freemium option allows customers to get a taste of your brand and product before making a purchase. It’s a try-before-you-buy opportunity that can, technically, last forever (as opposed to a free trial period that some companies choose). It’s common to offer a freemium option with the condition that the brand’s watermark will be shown on any public-facing parts of the product or service. This makes freemium a win-win situation: The consumer gets the product for free, and the brand gets free advertising when consumers use it. TypeForm is another great example of this. 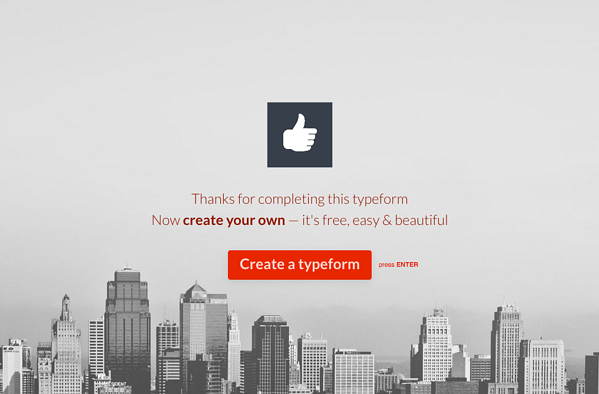 TypeForm offers a freemium option of its survey software, but customers must include a thank-you page that features the TypeForm logo and message. Depending on your type of business and product offer, Freemium may be the best way to raise awareness of your brand among your audience. Nowadays, creating content is easier than ever … which is a good thing because today’s consumers turn to the internet for any and all questions, concerns, and DIY projects. Content is a fun way to raise awareness of your brand because it’s the easiest way to show personality and share opinions and positioning on issues — two major components that personify and humanize your brand. Content doesn’t have to be in written form, either. You can also create videos, infographics, podcasts (which we’ll cover below), and more. Sure, written content like blogs and downloadable guides are arguably the easiest, but they’re definitely not the only option. Content doesn’t have to live on just your website, either. Guest posting and sponsored content provide opportunities to get in front of new audiences and diversify the type of content you create. If your brand isn’t creating content, you might be missing out on some major brand awareness opportunities. Content provides an amazing way to authentically connect with your audience while getting your brand name in front of people. To learn more about content creation, check out our guide here. Sponsoring events is a surefire way to get your brand in front of hundreds, thousands, or millions of people that likely fall into your target audience. From banners to flyers to water bottles, your brand name will be everywhere if you sponsor an event. Sponsoring an event also allows you to pin your brand name on an event that matches your personality, interests, and passions, meaning consumers will then associate your brand with that event and its aesthetic and character. Consider Red Bull. Red Bull is an energy drink, and without any brand awareness efforts, we’d simply consider it an energy drink. 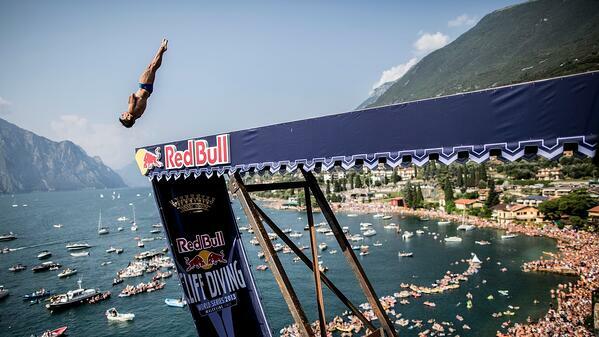 But, thankfully, Red Bull took their marketing to the extreme — literally — by sponsoring extreme sporting events like cliff diving and motocross. They also sponsor athletes. Now, we inherently associate Red Bull with daring and adventurous … and believe that, if we drink it, we can be the same. Treating your brand as a person and defining your narrative are the first steps to giving your brand a personality. The next step would be infusing this personality into your marketing efforts. When you market your products and services with personality, you can’t help but boost your brand awareness because your brand will shine right through. Sure, your consumers will take note of the pants or pasta you’re marketing, but they’ll also experience your personality through your advertising. This is a great strategy when mixing your traditional marketing campaigns with brand awareness campaigns. They don’t always have to be one in the same, but they definitely can be. Consider Old Spice. (Did you just picture the man on the horse? I did.) Their advertisements for their hygiene products are overflowing with personality and humor, and they still mention their products throughout. The advertisement not only makes an impact on its viewers, but a mere mention of the “Old Spice man” also sends consumers back to YouTube to watch the commercial … and to the store to buy some deodorant. In the last year, six million more people have started listening to podcasts. There’s no doubt podcasts play an important role in our lives … and marketing efforts. Podcasts used to be a complicated process, only created by those with a studio and fancy microphone. Now, it’s easier than ever to create and release a podcast, and doing so can do wonders for your brand awareness efforts. Why? Because podcasts, like written or visual content, provide a way to connect with your audience authentically. Instead of blatantly promoting your product or service (which we’ve agreed isn’t the best way to go about boosting brand awareness), podcasts give you the opportunity to educate, inform, entertain, or advise your audience and build trust by doing so. See how these brands have chosen podcast topics that relate to their 1) overall brand message and 2) products or services? Doing this helps them relate the podcast back to their brand and continue to raise awareness, too. For more information on podcasts, check out our guide here. Building and growing brand awareness is a never-ending process, just as maintaining a friendship or relationship never really ends. Boosting your brand awareness through campaigns gives you a chance to dabble in marketing and advertising opportunities you’d otherwise not invest in — meaning new, powerful ways to connect with your audience. How do you know if your brand awareness efforts are working? How do you know if you need to change direction, top the competition, or fix a crisis? Just like any other marketing metric, you measure it. Wait … I thought you said brand awareness couldn’t be measured! Aha! You’ve been listening. I appreciate that. You’re right — brand awareness can’t be measured in the traditional sense. But, you can still review activities and metrics that’ll help you gauge where your brand stands in terms of popularity and consumer awareness. Direct traffic. Firstly, direct traffic is the result of people intentionally typing in your URL and visiting your website. Your direct traffic number will tell you how much your marketing is prompting people to visit your website. This is an important metric, as many consumers today discover brands through social media, advertisements, or by typing in keywords related to your brand or product. When consumers go directly to your site, it means they were aware of your brand beforehand. Site traffic numbers. This number just reflects overall site traffic, which will tell you how much of the general internet population is checking out your content and spending time with your brand. It won’t quite tell you where people came from, but that doesn’t matter, because they’re aware of your brand enough to check it out. Social engagement. Engagement can refer to followers, likes, retweets, comments, and more. It’s a reflection of how many people are aware of your brand and socialize with it, as well as how impactful your content is. For instance, sites like Sparktoro can give you a specific score for your Twitter impact. Searching Google and setting up Google Alerts. Doing this gets you up to speed with how your brand is being talked about online. It will alert you to any news or mentions by third-party press. As your brand grows, its internet real estate will expand beyond your website, so keep an eye on that. Social listening. Social listening is monitoring social media management tools for organic mentions and engagement. Who’s tagging your brand, mentioning it in comments, or using your hashtag in their posts? These tools can help you discover that. And the more your audience is discussing your brand on social media, the more they’re aware of it. Running brand awareness surveys. This process involves getting direct feedback from your customers and audience and can be incredibly helpful with not only understanding who knows of your brand but also what they think of it. You can release surveys through SurveyMonkey or TypeForm and share them on social media or directly with your customers. This guide will help you create and promote them. These quantitative and qualitative metrics will help you understand your brand awareness among your audience and the general public. It’ll never be a perfect number, but keeping your pulse on this measure will help influence campaigns and stay connected to your audience. Regardless of how you gauge brand awareness for your company, avoid these common mistakes when measuring brand awareness. Brand awareness is a powerful (albeit vague) concept that can have a major impact on your marketing efforts, consumer perception, and revenue. Follow these techniques for establishing and building awareness for your brand, and you’ll find yourself with a loyal audience that recognizes your brand among competitors, chooses your products time and time again, and recommends their friends and family do the same.